"What fast and perfect cleaning service nyc got it this morning at 9:00! Thanks!" 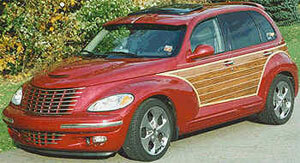 Chrysler and PT Cruiser are Registered Trademarks of the DaimlerChrysler Corporation. PTCruiserTricks.com© is not affiliated with the DaimlerChrysler Corporation. PTCruiserTricks.com© is not responsible for errors published on this web site. PT Cruiser Tricks.com© is Operated for GoToAutoAccessories by Internet Pioneering, Inc. Copyright 2006 All Rights Reserved.